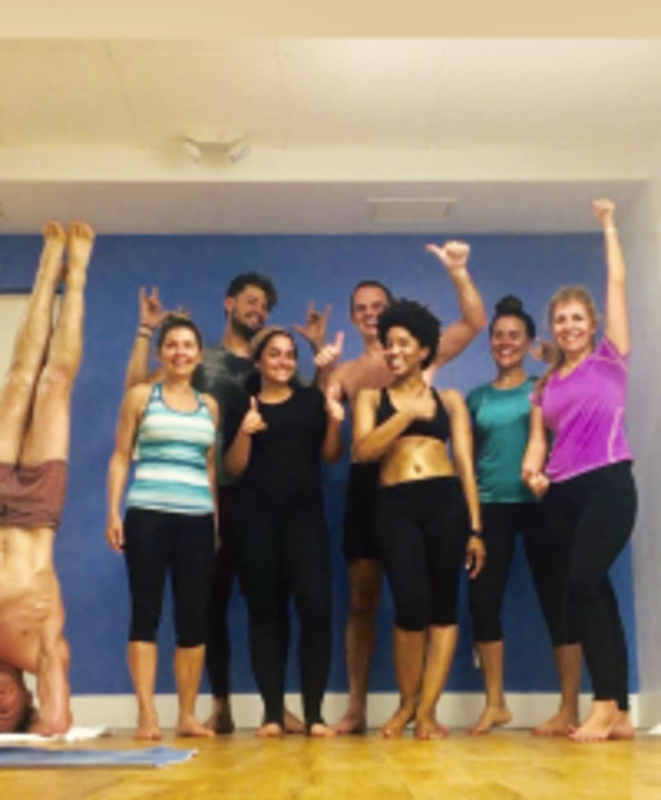 Start taking classes at Roll Out Your Mat and other studios! Ninety minutes of "me time" working through a series of 26 postures each repeated twice, along with two breathing exercises. Often referred to as a moving meditation, this athletic yoga practice always follows the same format of standing series postures and floor series postures, working systematically to open up the body, not to mention the "sweat detox". Accessible for all levels including beginners. Take your practice to where you body allows you to go today. There are no upcoming “Hot Yoga 90” classes on this day. Mats and towels are available to rent though many bring their own. Plenty of water is also highly recommended. Studio has a fully stocked fridge to hydrate before or after class. Comfortable, light, sweat-wicking athletic clothing you can move in is recommended. All classes are barefoot. Men's and women's bathrooms with showers available. Great flow and the teacher! Love Caroline ))) she is amazing teacher ! Awesome original hot 90 from Patricia... the best studio in town for hot 90 (aka known as Bikram) classes. A plus plus plus... Studio, Patricia, Hot 90!!! Go... go, go!